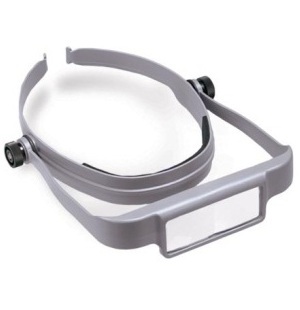 Donegan OSC OptiSIGHT Magnifying Visor provides hands free magnification for more accurate and efficient viewing. The visor tilts up for normal viewing, or down for magnification. OptiSIGHT brings work closer into focus, reducing eye strain and fatigue. 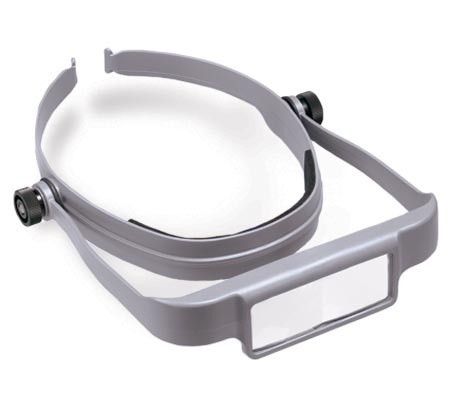 OptiSIGHT features a tension strap connector and comfort band. The pivot design holds tension. It is made of lightweight, durable, impact-resistant materials. Can be worn over prescription or safety glasses. Visor design shields out unwanted glare. Not to be used in place of safety glasses or face shields. Precision optical grade acrylic lenses. Color-GRAY. 3 different lens plates included 3x, 4x and 5x.